With Tom Brady’s four-game suspension being upheld, Roger Goodell may have unleashed a monster that we have not seen before. Brady, 39, announced he will take his suspension and this may have just been the spark he needed to put up another monster season. Brady has been very active at the Patriots’ training camp. He’s been heard yelling and rooting on his fellow teammates as he gets them fired up for the season where they will be without him for the first four games. He has also been seen numerous times with Garoppolo, suspected to be sharing some of his veteran insight with the young rookie QB. It will be interesting to see how Garoppolo performs, but with Brady as his mentor, the first four games could be positive ones for New England. There is no doubt that Goodell has fired Brady up. Brady is ready to win and he is ready to win now. There have been images of him staying after practice to get in some work on his own time. He’s looked crisp in training camp and is performing well. It is crucial that Brady can maintain this level of play as he gets closer to his return. We have to keep in mind that Tom Brady isn’t getting any younger. It is astounding that he is able to maintain such a high level of play, but after all he is quite possibly the greatest QB of all time. If the Patriots want to win this year, Brady is going to be the man to lead the way for 12 games of this season. A finish of 13-3 is what I’m predicting, with Garoppolo losing two games and Brady losing one. With that being said, Brady is going to go off this year, look for it to be one of his BEST seasons to date as there will certainly be a vengeance and fire that he’s going to use to his advantage. 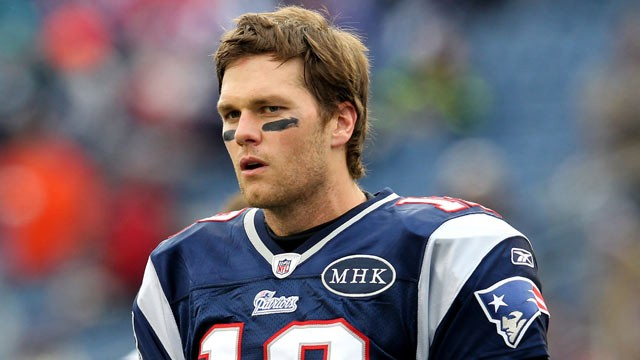 A bold prediction, but I really believe Brady is going to be a close front runner for MVP, if not the front runner. As hard as this is to believe, he’ll be playing with an even bigger purpose than past seasons and with an improved receiving core, I think we will see an elite Brady, even more elite than the one we have been blessed with for the last decade. With Gronk and Martellus Bennett, we could see a tight end situation similar to the one we had a few years back with Gronk and Aaron Hernandez. We have Gronk, one of the best, if not the best tight end in the league, along with Bennett, who has put up good numbers in the past, although last season was not that impressive. Well Roger, you can suspend Brady for four games, but I am afraid that this suspension will only make him better as an NFL player. Make sure you show him some respect when you’re standing next to him on the podium in February as you hand him yet another Super Bowl trophy. You’ve unleashed the beast, and it is far too late to tame. Next Can Jimmy Garoppolo Continue To Exceed Expectations Against The Dolphins?